It is time for all of us to consider – across our agencies, campuses and military installations – how to assist Veterans in completing their chosen educational programs. The Obama Administration has made Veteran educational success a priority. As such, Executive Order 13607, Establishing Principles of Excellence for Educational Institutions Serving Service Members, Veterans, Spouses, and Other Family Members, calls for agencies to work together to ensure that educational institutions effectively serve those who have served our nation. The VOW (Veterans Opportunity to Work) to Hire Heroes Act of 2011, signed into law in November 2011, called for the redesign and implementation of a new military transition assistance program, with voluntary tracks in higher education and skills training. These interagency efforts, as they unfold, are designed to enable Veterans to more easily garner information about college access, identify programs that meet their individual needs, and select among quality institutions and available financial aid options under the GI Bill and Federal Student Aid. Over the past year, the Departments of Veterans Affairs, Education, Defense and Labor have been working collaboratively with the White House to further build on and identify concrete strategies to aid our Veterans and Service Members in reaching their educational and training goals. A session was held where over 100 participants discussed various approaches that could be scaled and replicated to foster success on campus. This gathering brought together a wide range of stakeholders: government agencies, including the Departments of Veterans Affairs, Education, Defense and Labor; non-profit organizations, including foundations and Veterans service organizations; and, importantly, Veterans who had recently completed college degrees in a range of disciplines. During the session and subsequent efforts, we have gleaned many best practices and strategies that are captured in the corresponding pages of this document. Many of the grantees from the Department of Education’s Fund for the Improvement of Postsecondary Education (FIPSE) are proceeding to develop or expand their campus Veterans’ Centers of Excellence and their Veterans Upward Bound Program. Importantly, further conveying the diversity of resources available to support Veterans, in 2009, the Department of Veterans Affairs (VA) initiated a pilot program, VetSuccess on Campus (VSOC). The program, which is currently located at 32 campus sites in 16 states and is expanding to additional campuses during 2013, aims to help ease the transition of Service Members to civilian life and provide outreach to Veterans as they adjust to the unique challenges as they enter the academic setting. This initiative also aims to ensure Veterans are aware of the Department of Labor funded American Job Centers, so that they take advantage of this free employment assistance. This program, which continues to evolve based upon valuable feedback from stakeholders, is an effort to continue shaping a dialogue that has momentum at the federal level, and to help institutions identify keys to facilitating Veterans’ success on their own campuses. In addition to concrete examples, this document contains a list of, and links to, resources that campuses may find useful. We hope that this document sets the stage for ongoing conversations, research and analyses on improving the Veteran experience and success of Veterans on America’s campuses. Given their lives and service to our nation, our Veterans deserve our wholehearted assistance in facilitating their educational success in postsecondary education and beyond. Acknowledge and respond to the unique needs of the Veteran population throughout the educational institution (i.e., academics, student life, financial aid, learning differences). Utilize student Veterans as resources (e.g., mentorship programs, peer-to-peer interactions, committee assignments, leadership positions). Ensure there is flexibility in offerings to this population, because student Veterans are a diverse group in all demographic respects – a one-size-fits-all approach will, in all likelihood, be suboptimal. Interact with Veterans in their preferred method of communication, including social media. Inform campus leadership of services available to student Veterans, including ED resources and VA services and benefits. Encourage the involvement of Veterans in the decisions made on programs directly affecting them. Constantly engage key stakeholders/thought leaders on and off campus with a senior leader accepting responsibility for Veterans’ success. Recognize and highlight the importance of the military to civilian culture shift required for student Veteran success. Facilitate at least one annual face-to-face meeting with student Veteran leaders and the Institution of Higher Education president/provost. Require attendance at orientation for all student Veterans, with programming that could include a separate, mandatory component specifically designed for student Veterans and Service Members. 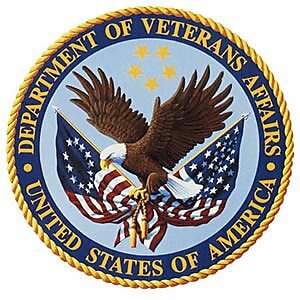 Orientation should include information about the VA’s Veterans Integration to Academic Leadership (VITAL) initiative, available VA career counseling, and VA’s Tutorial Assistance Program. Develop an early alert program that includes general indicators that student Veterans are struggling, focusing on grades, attendance, disciplinary issues, and engagement levels, among other factors. Coordinate alert efforts across the institution so that problems are not addressed ad hoc, but in a systematic way. Coordinate and centralize campus efforts for all Veterans, together with the creation of designated space (even if limited in size). Have an easy-to-find webpage that includes a comprehensive list of key services available to student Veterans on campus, including general services from which they can benefit. Help student Veterans meet life needs such as housing, food, gas, childcare, and financial services. Have a coordinated designated team that assists Veterans – from admissions, financial aid, student life, and academic support. Partner with off-campus services and organizations to facilitate career opportunities, including internships during the academic year and summer months. Bring in community organizations and Veterans service organizations to meet student Veterans and learn about the Veteran population on campus. Identify off-campus mentors for student Veterans, including other Veterans if possible. Leverage VA employees within geographic proximity to campuses for guidance, insight, and referral to services and mentorship. 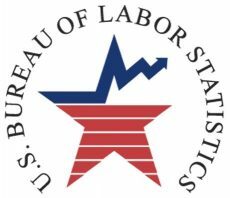 Coordinate services and information from the American Job Centers funded by the US Department of Labor. Utilize a uniform set of data tools to collect and track information on student Veterans, including demographics, retention, and degree completion. Identify specific metrics that institutions across the country will use to collect quantitative data. Utilize the Integrated Postsecondary Education Data System (IPEDS) for data definitions. Maintain longitudinal data with continual programmatic data-driven improvements. Inform faculty and staff of unique Veteran needs focusing on sensitivity and receptivity to Veterans having difficulty adjusting to college life. Support attendance at conferences and encourage faculty to engage in lectures, research, and professional development around student Veteran issues, including PTSD. Training (on-line or in person) should be part of the ongoing professional development efforts on campus. Constantly evaluate effectiveness of programs and services provided. Perform cost analyses of programs when deciding what to keep and what to cut after any grant program ends. Develop strong relationships between 4-yr and 2-yr institutions of higher learning to facilitate transfers. Conduct targeted fundraising to support Veteran programs.